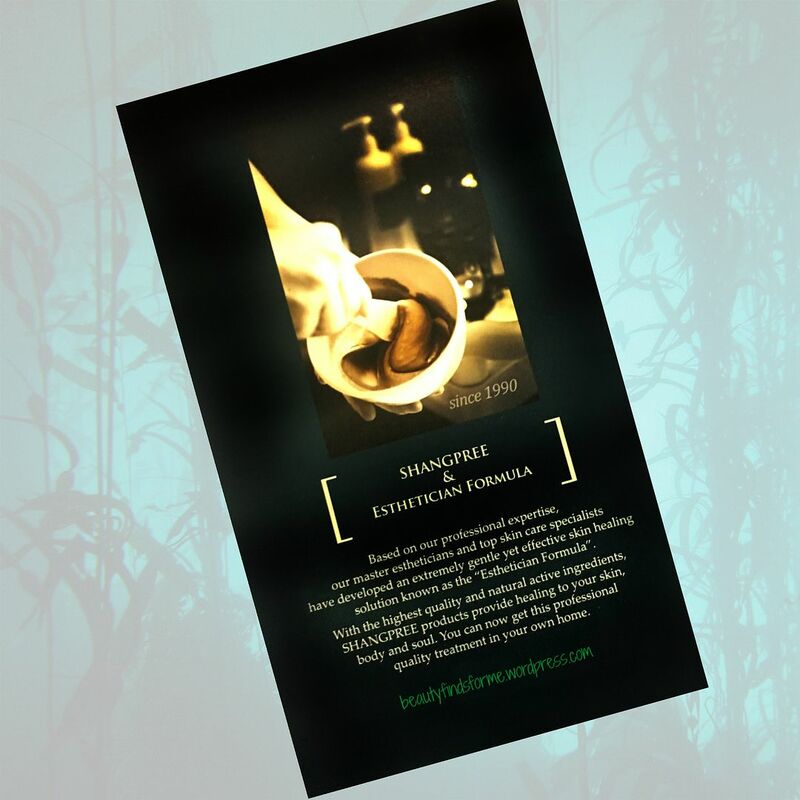 There is something magical about the Shangpree brand ~ maybe it is because it is a Spa… maybe it is because of their stunning packaging or ingredients. The Colors ~ gold, silver, blackened gold and greens. I have only tried two Shangpree products and I have decided that I should share this magical, fantasy brand with you. Shangpree is actually an internationally renowned spa in Seoul, South Korea and has been around since 1990. All of their estheticians must complete Shangpree’s training process which is a 3 year long ordeal! It doesn’t matter if you have 20 years experience or 2 years ~ they all have to be trained the Shangpree-way before they can offer client services. Shangpree started their own skincare line and that same attention to detail and offer some of their most popular products to customers all around the world. 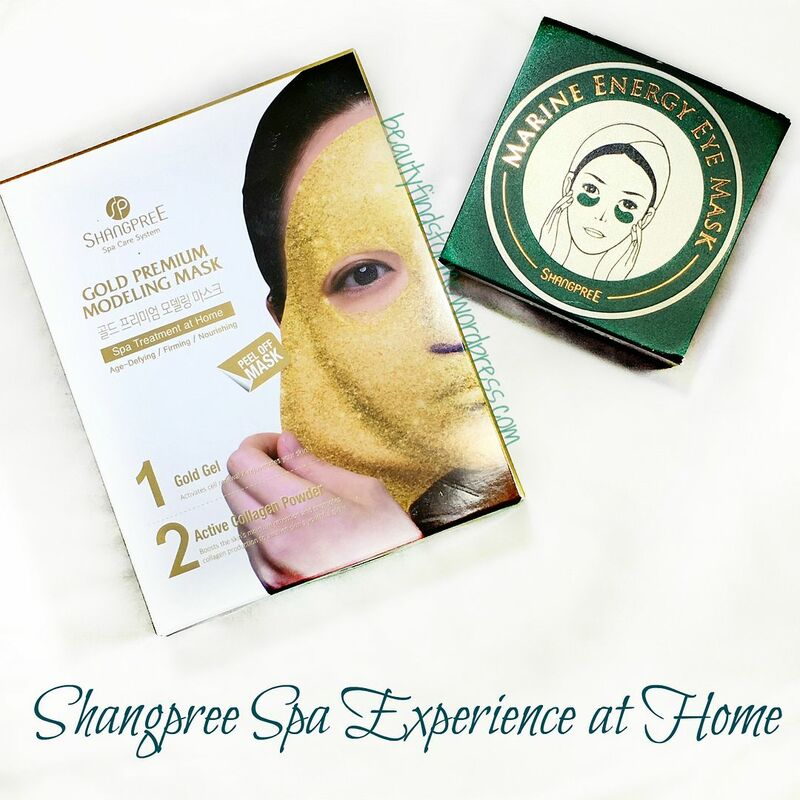 I was introduced to Shangpree last year, when I stumbled into winning their gold mask. I have hoarded it for SO LONG and then decided I must try it. 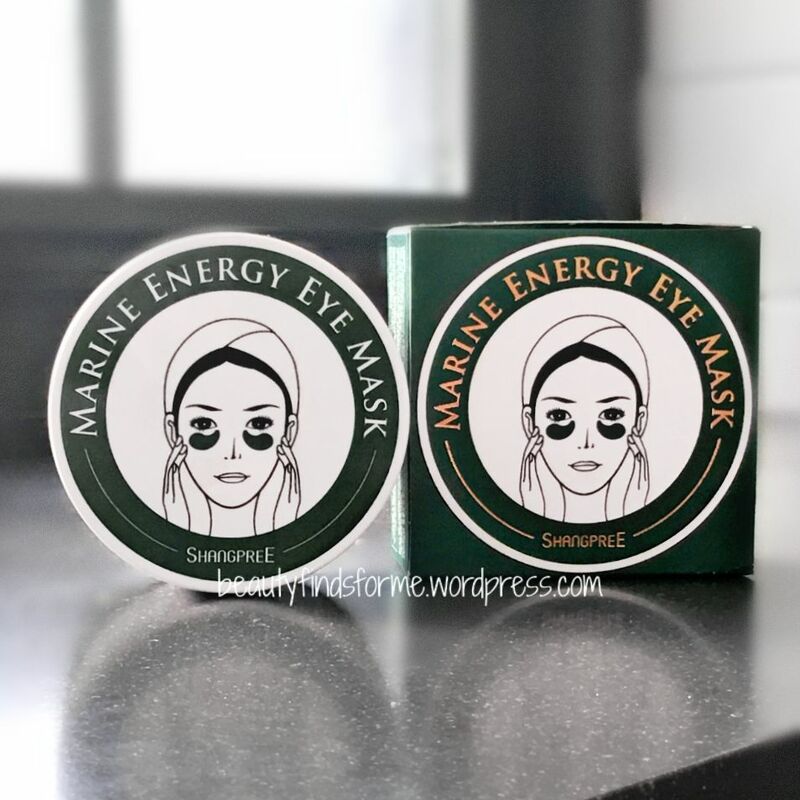 Earlier this year, Shangpree was promoting their new Marine Energy Eye Masks and I was totally hooked ~ the green color, the promo, the packaging ~ I was on a mission to purchase them! It took a while and I did get mine from overseas, but they are now available in the USA too. 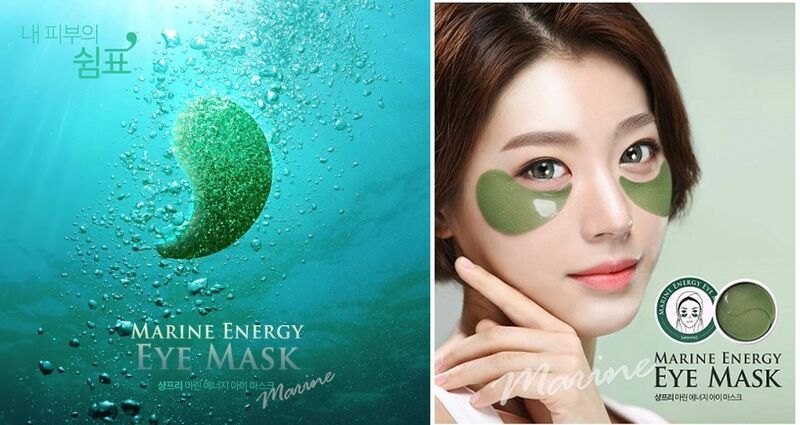 Marine Energy Eye Mask The promos for this hydrogel just totally seduced me with the deep aquatic design and then the lovely model with green eyes. This is the latest offering for eye gels that Shangpree makes and it is my first one to try as well. After trying these, I am not sure it gets any better than this. The struggle to get these hydrogels was bad ~ I tried winning them with Shangpree’s contest, but didn’t succeed. Then I found them on eBay ~ and purchased them. The seller cancelled the order because they didn’t have it in stock. Sigh. I turned to Korean Buddy, as I couldn’t even find these on Shangpree’s Korean website at the time ~ and they found them for me!! By the time I got them, Peach & Lily put them up on their website and they sold out promptly. I guess I wasn’t the only one that lusted after them! 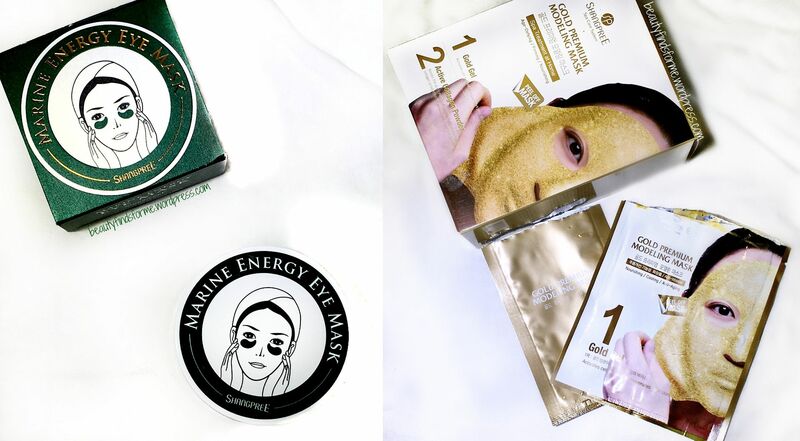 Description: This eye-area specific mask is enriched with antioxidant-rich algae, spirulina and chondrus crispus. This anti-aging formula also features soothing herbal and botanical extracts along with deeply hydrating ingredients like Sodium Hyaluronate ensures skin is beautifully conditioned and plumped up. Regular use will help balance and brighten the delicate skin about the eyes to promote a clear, smooth, and youthful complexion. These are not called marine for nothing! This has a slew of sea worthy botanicals: red algae, several different types of kelp ~ giant bladder kelp, kombu, oarweed~ brown macroalgae, green algae, spirulina, wakame, kijiki, sponge seaweed and plankton. 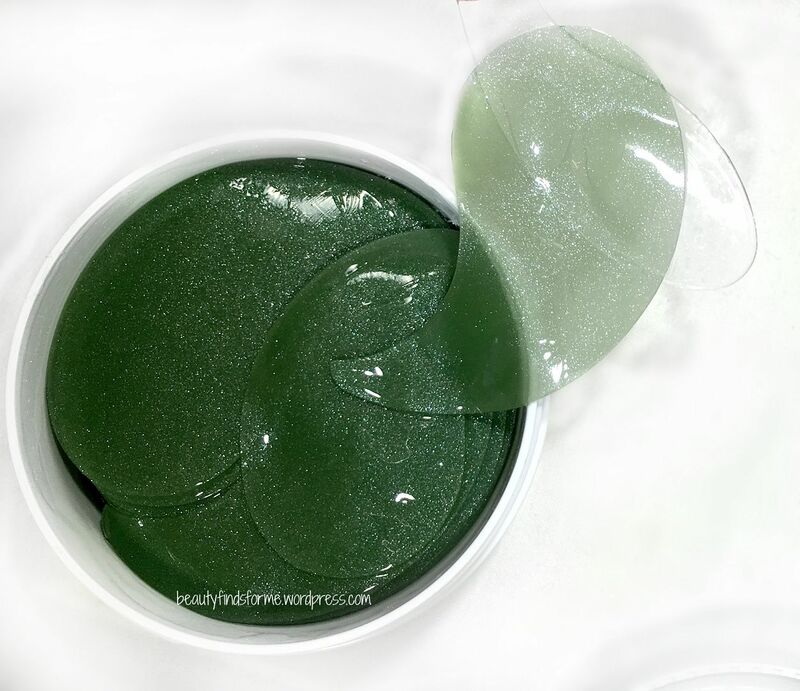 Algae in general have moisture binding properties so it hydrates and softens your skin. It also is rich in essential vitamins and minerals, such as vitamins A, B1, iron, phosphorus, copper and sodium. They also help prevent damage from free radicals as it is an antioxidant, and algae aids in the production of collagen, as it inhibits an enzyme that prevents collagen from forming. Algae also contains amino acids, which help firm your skin and it also has anti-inflammatory properties so your skin is smooth, less red and less swollen. Algae in general is a great anti-aging ingredient! This also has pearl powder, which has a powerful antioxidant, aids in collagen production and is rich in amino acids and minerals. This has soothing and healing ingredients of lavender, rosemary and chamomile, so the delicate area around your skin will be protected, along with glycerin and sodium hyaluronate ~ humectants that will attract and retain moisture in your skin. 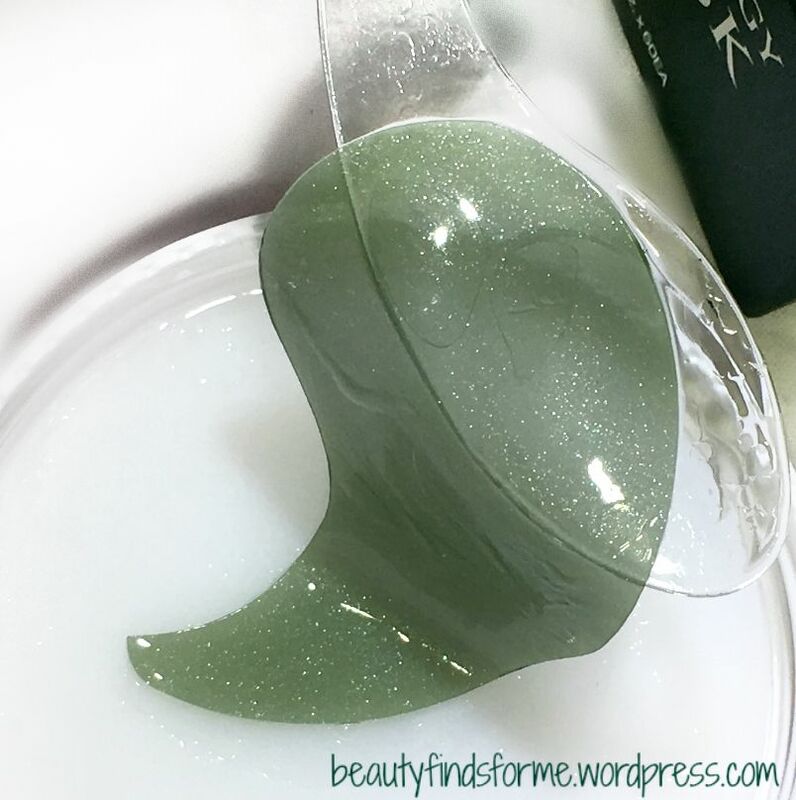 There are 60 gels in here ~ this has a protective inner lid with a clear spoon-spatula ~ I call it a spoon spatula as it has a flat, wide ladle so you can slide it under one slippery green gel and be able to scoop it up without damaging it. These are pretty sturdy, however, and I haven’t torn one yet. 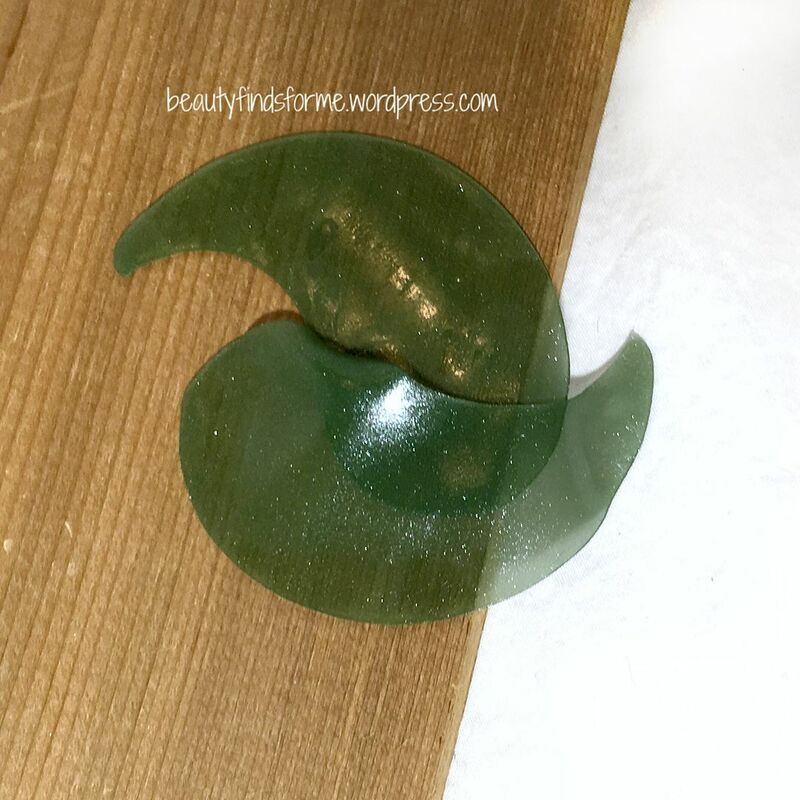 The gel is a beautiful forest green color that shimmers, which I assume is the pearl powder in this product. I didn’t notice a scent with these and if there is one, it is so faint that it is not noticeable. Now, I always apply tadpole shapes gels with the tapered end at the outer edges of my eyes, even though the photo shows the tapered end at the inner corner. These are big enough that you could do them either way and still get tons of coverage. These are super silky soft and I was able to leave them on for almost an hour before I decided to remove them. They were still moist, so I could have left them on for longer, but I had to go to bed! I kept my gels and in the morning, looked to see how much they had dehydryated ~ I thought they would be curled up and brittle. They were drier to be sure, but they were still supple and gel like ~ amazing! So, back to the review ~ I have to tell you, that my fine lines and wrinkles were noticeably reduced ~ I actually only saw my laugh lines at the outer edges of my eyes and even then, those were very faint. These gels really plumped up those lines without making the rest of the skin puffy. The next time I used them, I took a tip from Swanicoco and applied my Swanicoco Revol Matrick Anti-Wrinkle Ampoule first under my eyes and then applied the mask. OMG. Seriously. This is my now quick fix to get rid of my eye lines and wrinkles ~ when I did the one-two punch of the Revol Matrick + Marine Energy, I had to look hard for my fine lines and since Swanicoco’s Revol (review here) de-puffs my skin, this was an amazing transformation for me. Seriously. I use eye gels all the time and these really take it to the next level of seriously hydration and plumping up the skin. I knew that the Shangpree Gold Hydrogels could be dissolved in warm water and then applied as a essence, but I didn’t know these could be until I found a tip stating that you could. I will have to try that as these gels are very firming and hydrating and it might be fun to see how this eye-gel essence will work on my whole face! Gold Premium Modeling Mask Modeling Masks, aka Rubber Masks, are a pretty interesting and fun concept. The idea is to apply this thick liquid-gel on your face, let it set until it is like rubber and leave it on for 30 minutes to an hour, in which your skin will not only become very hydrated and moist, but the nourishing ingredients will condition your skin with their benefits. 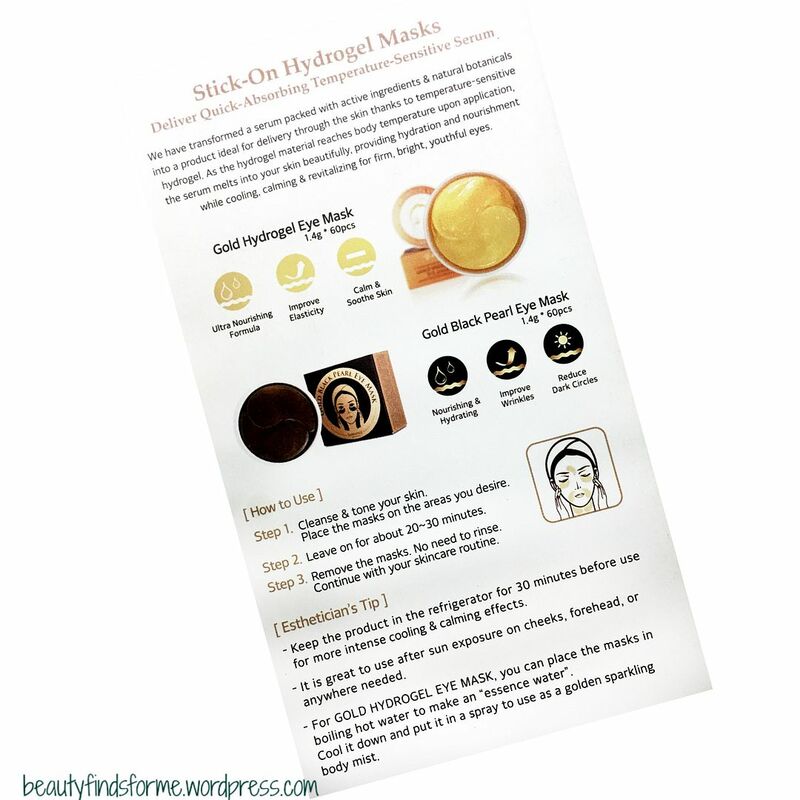 I am familiar with these modeling masks, as I have used the ones that just came with a cup and powder and you add liquid to it (review here). However, it is hit or miss with those types of cups as sometimes, even when I follow the instructions exactly, the “rubber” mask is too watery or too thick, too clumpy or hard to remove! I had one that was just awful, as I was scraping it off my face. 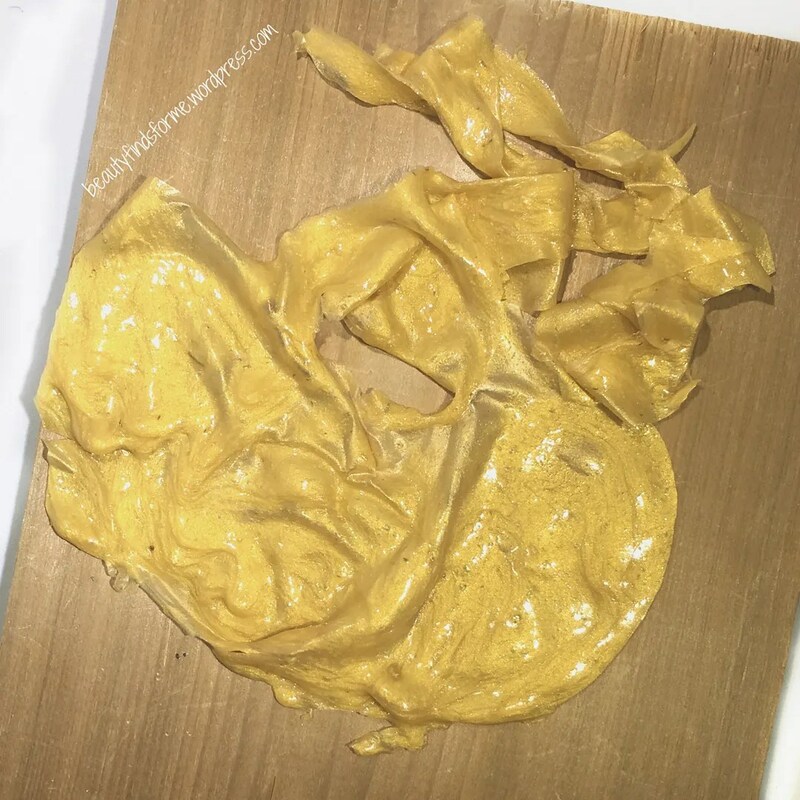 My world turned upside down when I tried my first pre-made liquid pouch + powder pouch ~ Lindsey Luxury Magic Modeling Masks (review here). I did like those a lot and I decided that if I was going to use these “rubber” masks, this was the way to go with the pre-mixed pouches. Now last fall, when Shangpree announced their items were to be sold at Harrods, they had a giveaway on Instagram. I entered and won this mask! I have been hording it for so long and it kept staring at me reproachfully…. 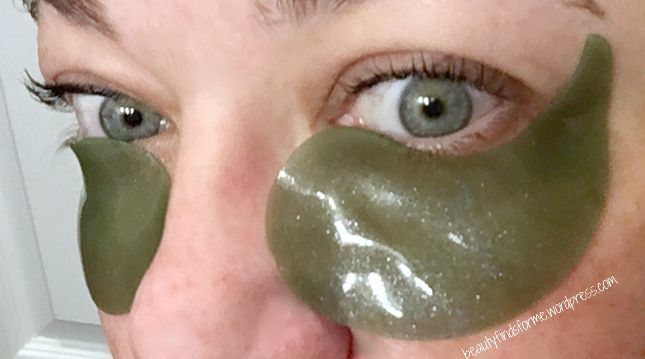 With the success of the Marine Energy Eye Masks, I decided it was time. Time to use my expensive Gold Modeling mask and see how well this worked. For the record, this mask is $20.00 for ONE use. I didn’t feel it was fair to compare Lindsey with Shangpree, as Lindsey are between $5.00 to $7.00 and are not in the same league as Shangpree. Lindsey masks are fantastic for their price point and they do deliver on their claims. Centella Asiatica is a common herbal ingredient that is used medicinally to help speed up wound healing, such as blemishes and skin rashes. It also helps minimize the appearance of pores. Glycyrrhiza Glabra (Licorice) Root will soothe and calms the skin, while acting as an anti-inflammatory and also reduces hyper-pigmentation. Green Tea is full of powerful anti-oxidants, due to its high concentration of polyphenols and will help reduce the appearance of fine lines and wrinkles. Ginger contains anti-bacterial, anti-inflammatory and antioxidant compounds and can be used both internally and topically. Ginger contains 40 antioxidant compounds that help with anti-aging, removes toxins and stimulates your blood circulation. It combats and prevents damage from free radicals, helping improve elasticity which makes your skin firm, toned and less wrinkles. Propolis is a natural antibiotic that is produced by honey bees. This ingredient is wonderful for those with blemish prone skin or have other skin issues, as it really helps heal your skin. Adenosine is yeast derived and is an anti-wrinkle and anti-inflammatory ingredient. Caviar that has a variety of vitamins, amino acids & minerals which will provide nourishment & keep skin smooth & glowing. Gold is an skincare ingredient that has a lack of scientific research behind it, but those who love gold in their skincare, swear it has antioxidant & anti-inflammatory properties. Allantoin moisturizes, exfoliates and softens skin, making it look smooth and refined, while reducing and relieving irritation. Chamomile can calm down the skin and relieve redness effectively as it has antioxidant, antibacterial and anti-inflammatory properties. It helps to relieve skin issues and irritations because it soothes and lessens swelling and redness, while healing skin and stimulating cellular renewal. 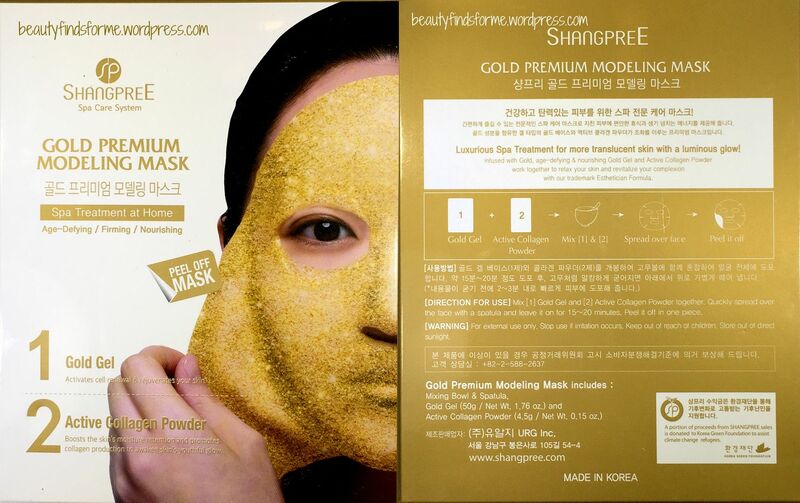 The Gold Mask is Shangpree Spa’s iconic signature mask and the ingredients look fantastic. Description (from box): Luxurious Spa Treatment for more translucent skin with a luminous glow! Infused with Gold, age-defying & nourishing Gold Gel and Active Collagen Powder work together to relax your skin and revitalize your complexion. Spa Treatment At Home: Age-Defying/Firming/Nourishing. 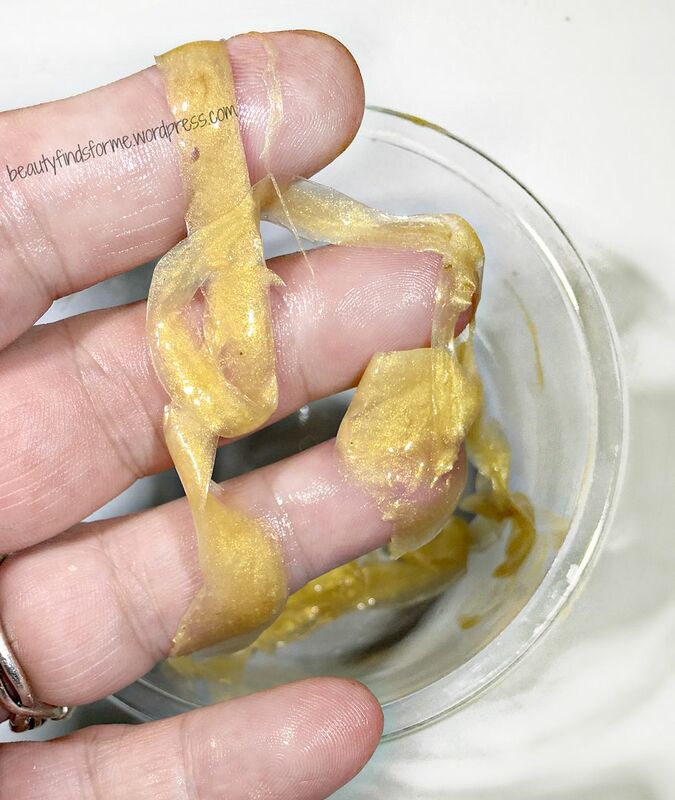 Gold Gel: Activates cell renewal & rejuvenates your skin. Active Collagen Powder: Boots the skin’s moisture retention and promotes collagen production to awaken skin’s youthful glow. I am ready to mix my precious! First, I open up the gel pouch and pour that into the bowl, gently squeezing all of it out ~ it is quite thick and quite gold! I can see the gold shimmers in it, but it isn’t that diamond sparkle that is shown on the box (fantasy ruined!) Then I open up the powder pouch and I can actually see the chamomile flowers bits in there. I add that to the gold gel and then mix well. I then spread this on my face using a spatula and like all modeling masks, it wanted to slide down and off my nose and chin. I kept rearranging the mask back up on my face until it set ~ and set is the correct word. This does not harden at all on my face. It just “sets” and has the texture of rubber. I did cover my mouth with the product and didn’t worry about getting the gel too much in my hair and brows. Some people might even apply the mask over closed eyes, but I just couldn’t do that! This mask has a light fresh soapy scent to it and it is very cooling while I was wearing it. When the mask was set, I did touch it with my fingers and was surprised to see that my fingertips came away with a slight thin layer of watery oils. Every time I touched my face, I felt that the mask was so slick and my fingers always came away with a thin layer of watery oils. In fact, I left my mask on for an hour, thinking that because of the watery condensation on the outside of the mask, it was not set ~ but then I realized that this mask will never harden or dry, so I should just take it off! I was able to easily peel it off my face ~ even the bits that were stuck in my hair was easily removed ~ the gel just rolled up as it was so moist. My face had a thin layer of those watery oils and it was initially sticky ~ however, I just gently patted my skin so it would absorb that essence. My face was GLOWING. And not in a bad-grease-pit kinda a way, but a healthy glow. Oh and moisturized ~ very plumped up and hydrated, my skin was very smooth and a huge surprise, my pores were clean and looked smaller. My skin also felt cool and refreshed as well. There is something in these modeling masks by Shangpree that I have not experienced before and I am impressed by the results. The bits that were stuck to the bowl could easily be removed as well. Those bits had the same watery feel and you can see the “water” on my fingers after handling those small bits. I then read the brochure that came with my mask a bit more closely. And there it is ~ this mask will not dry out even after 3 days. If you were determined to wear it for 72 hours, it still would be as moist and supple as it was after it set. Which means that your skin will continue to reap the benefits of this mask for several days. If you want a great eye gel experience, I highly recommend the Shangpree Marine Energy ones. They have done miracles on my fine lines and wrinkles and the description claims that with regular use, it will balance and brighten the skin around the eyes. With the hot weather coming up, I will put these in the frig for a more cooling and depuffing experience. I will be purchasing these again as they are well worth the $30.00 I paid for them. 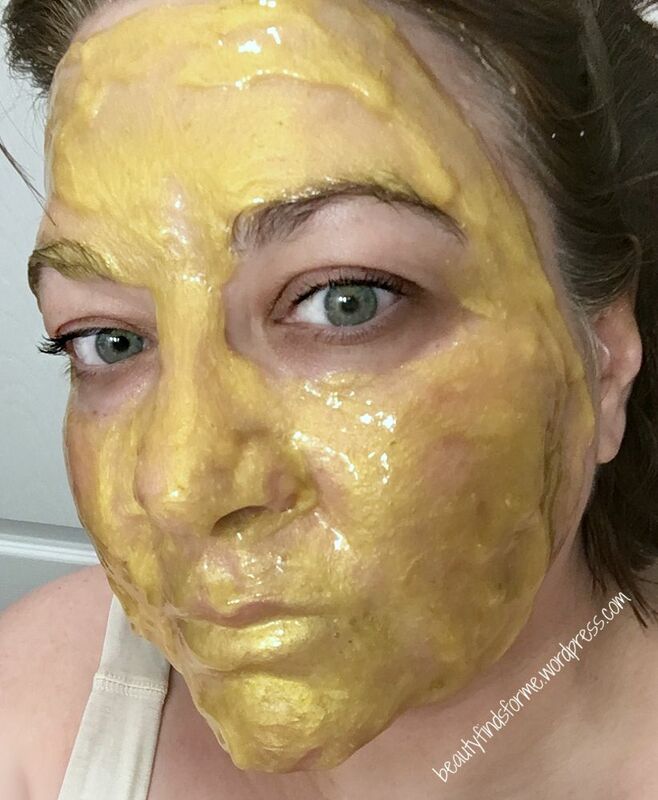 The Gold Modeling Mask is a sheer indulgence that works. This really is a moisturizing mask and I felt that for a day or two after using it. I love how it felt on and how my skin really was moisturized without being greasy. No wonder this is their signature piece! Shangpree also has a Black Mask (for Pore Care) and Silver Mask (for Brightening) and they have been using a Green Modeling Mask at their spa ~ made with snail filtrate and spirulina, it is for repairing and soothing ~ they have not yet released this on the market yet, but I will definitely be looking for this one when it goes on sale! 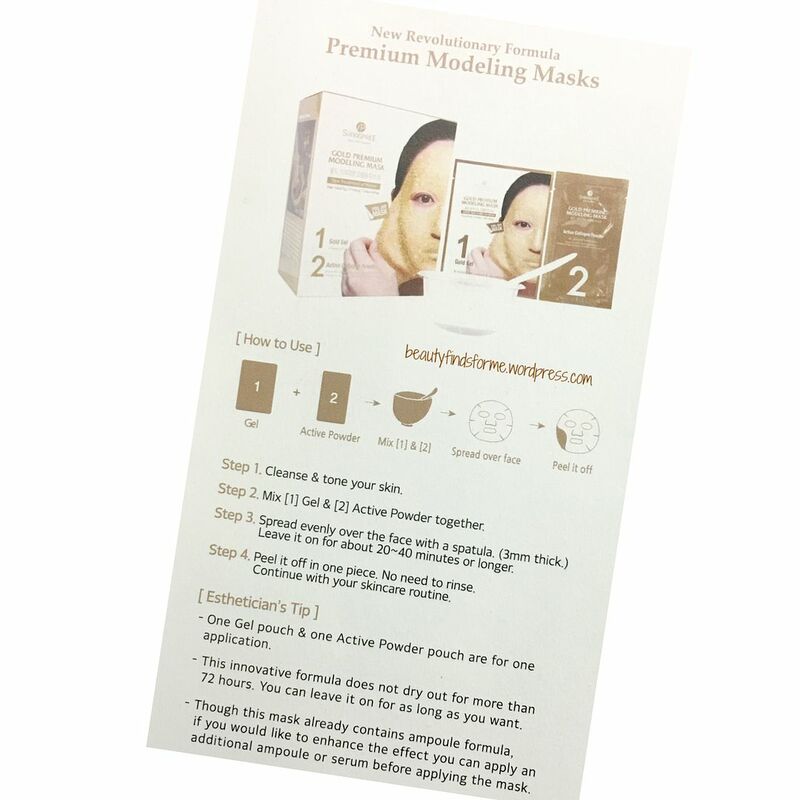 Check the BEFORE & AFTER of ‘Green Modeling Mask’, Shangpree' new item! Formulated with snail filterate and spirulina, it's seriously effective for soothing and recovering skin. Especially suitable for super sensitive skin / #breakouts! Get glow glow G.L.O.W✨✨✨👍 샹프리의 신제품 ‘그린 모델링 마스크’는 스네일과 스피루리나 성분으로 이뤄져 진정과 피부 밸런스 회복 효과가 뛰어난 제품이랍니다. 예민하고 트러블이 심한 피부에 특히 제격! 그린 모델링 마스크를 벗긴 후 피부에서 흐르는 수분 광채를 확인해보세요! I really loved both Shangpree products and I am looking at interest at some of their skin products ~ I wonder which ones would be best for oily, but aging skin? Have you tried Shangpree? Did you think it was worth the money? There are several options to purchase these beauties. Peach & Lily USA + International Shipping. Free USA shipping for orders over $50.00. First time customer? Use my referral link (click here) and save $10.00 off your order of $50.00 or more. 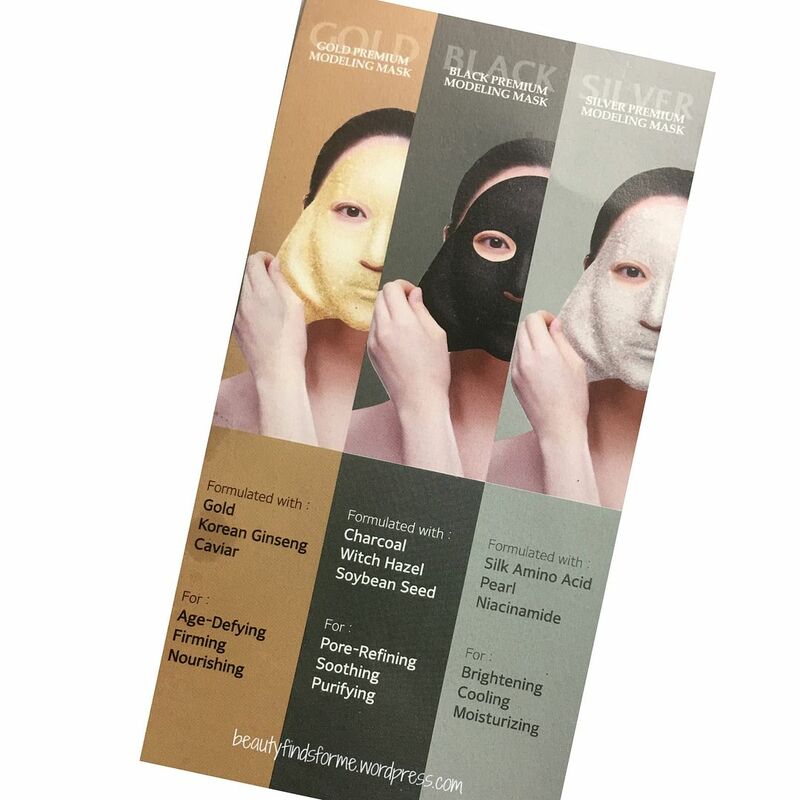 Gold Premium Modeling Mask ~ these should retail around $20.00 for one treatment. Peach & Lily Once Again, USA + International Shipping. Free USA shipping for orders over $50.00. First time customer? Use my referral link (click here) and save $10.00 off your order of $50.00 or more. For Barneys & Macys, use eBates to earn money when you spend money! Use my referral link to earn $10.00 with your first purchase using eBates. For a special treat, Peach & Lily also sells the Shangpree Anti-Bacterial Gold Bowl & Spatula Set for $10.00. It looks so luxe! Unboxing April 2017 Yogi Surprise Lifestyle Box + Promo Code & Next Month Spoilers! 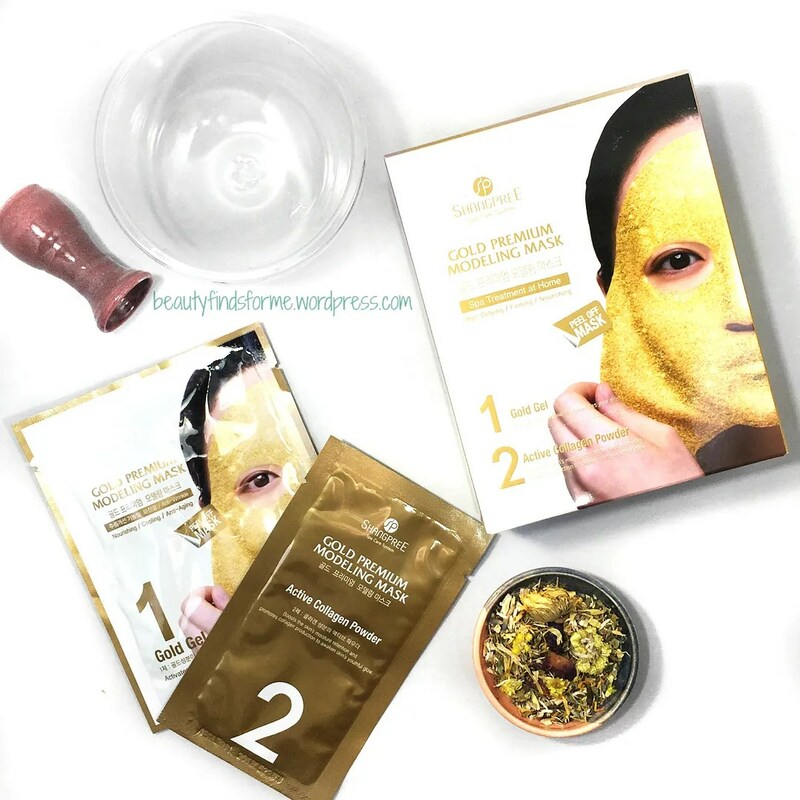 Wow the gold mask looks interesting and I definitely will try it one day. 🙂 Thank you for sharing!